This morning marks the debut of the iPad 2. It’s all very exciting, and I hope to get my hands on one very soon (Peter, Mother’s Day is May 8th). But I am equally excited about the prospect of getting my hands on TC Boyle’s new book “When the Killing’s Done.” Not the e-book, the p-book—the one made out of paper. I’m not a Luddite by any stretch of the imagination, but there’s something about the smell of a book, the feel of its pages, the cover art, the type…I take in everything. I have an old Kindle and still use it for traveling, but there’s nothing like the feel, the weight, the “soul” of a real, material book. My favorite type of book is often an old used one that I might find at Powell’s, a book from my childhood perhaps, that smells like memories, and is creased and ripped in places—a strong hint that some little kid loved and cherished that book. As a child, I have fond memories of my parents dropping me off at the library. “Pick you up in a hour,” they said, “and remember, 12 books is your limit!” So off I’d go and make my way through the adult library, down the creaking stairs, and into the musty basement, into a young reader’s heaven. As an adult, I still love libraries and bookstores. If I’m having a stressful day, I’ll take the time to wander into one of my favorite local bookstores and take it all in. There’s something comforting about being in the presence of hundreds a books. It’s as if they’re whispering “It’s ok. We’re here for you. Relax. Breathe. Sit down and read one of us.” A good bookstore is like an electric blanket—it’s so comforting, you never want to leave it. Religion, magic, spiritualism, fate.... Trying to find meaning in the world around us sends me on the balance beam between science, reality and something else. In the last year (I am not going to mention who should be blamed or thanked here, but you know who you are!) I have been obsessed with one book series or another that has put me a little on the outside of reality. Time travel, vampires, fairies, witches, shape-shifters, Scottish highlanders. Having been a Literature major in college some might say shame on me. I am constantly asking myself why these books have grabbed me so strongly? There is definitely the strong male character to look forward to, but it is the leading woman that I think is the real lure. She is not always strong, sometimes clumsy, really lucky or really unlucky. She follows a strange intuition, doesn't follow the mainstream and seems to have a pretty crazily exciting life. Again, why? Today, I was searching online for photos of a hairstyle and trying to define what direction I wanted to go in and I realized the style I am drawn to is considered pixie. I went into the bathroom to see what I could do with my hair to make it look the way I wanted and suddenly realized that we all have a little of the fairy in us and I am just starting to find the fairy in me. I have always been able to fly in my dreams but this is a little different. Having lost a father to cancer in literally one week, I have spent the last 6 years trying to understand the control and lack of that we all have in our lives. Since my father's death I have been trying to find a way not to lose anyone else. There is an inevitability to this all but at the same time there is something else that I have become addicted to in my own way. Helping others by making food (yes Jewish mother influence), knitting caps & blankets, whatever I can to bring good thoughts and feelings to others. Truly believing that good thoughts can make a difference. Really believing that I can make a difference. Believing that we all are capable of amazing things. Not quitting. Asking for help. Being there for others. I do not have a wand and don't think I need one, but I really believe that I can spread a little pixie dust wherever I go and look forward to making amazing things happen. Book list of the not so literary, entertaining, magical and especially great for new moms - easy to get through. Who knew that joining a workout group a year ago could be so life changing? Thirty-nine years old and feeling like it was time to take action in my life on getting fit and taking care of myself. The goal was really only to lose a few pounds so that I could look better in my clothes. I was completely scared and the two women I knew that were active in Bend Adventure Boot Camp practically had to drag me in the doors. Fast forward a year later. . . .I have been attending on and off, but love the way that Boot camp makes me feel during the day. I have more energy, I am stronger (ok, a little more sore), but overall better. October 1, I embarked on a trip to the Agate Beach Motel on the Oregon coast with ten women, two trainers, a nutritionist and a massage therapist. The weather was great, the view amazing and I was in disbelief that I could step out of my room and boot camp was waiting. With two workouts a day using the large lawn area outside our rooms, the 82 steps down to the beach and both the soft and firm sand of the beach I endured and enjoyed the best workouts of my life. This alone was great, but the add-ons never seemed to end. Our trainers, Victoria and Josh, created two nights of nutritious and delicious dinners that were hearty and healthy at the same time. I was relieved to know that we actually could eat and not feel guilty about it. Larry, the owner of Max Muscle, talked to us about nutrition and gave us an assortment of power drinks and made us his "favorite" breakfast. There was a trip to the grocery store where we could learn about different food choices and were encouraged to ask questions about foods that we normally eat. Finally, we all received well deserved massages from therapist Danni Weeks. It was beautiful and challenging but there was more. The group of people was the best. Everyone was supportive, pushed themselves and we had fun together. I have to say we weren't angels and there were some beverages in the evening, but nothing crazy. Is there a place here to mention DANI? Absolutely! The owner of the Agate Beach Motel in Newport, Oregon is a fellow boot camper and in the last year since we have met, she has been transitioning her amenities to DANI products. With two workouts a day, showering or bathing was really important. It gave us time to relax, cleanup and pamper after our hard work. Everyone received samples of DANI Lemongrass Lavender Sugar Scrub, Bath Soak and a soy wax candle for the room. It was a true perk. Working hard has its rewards and DANI was a big one. I really found that taking care of my body may start with what I put in it, but the outside is important as well. Taking care of needed cleansing with our shampoo, conditioner, and shower gel was the first step, but the sugar scrub, bath soak and lotion was crucial to us all feeling exfoliated, moisturized and pampered. Looking back over the past year, did I lose those pounds? Sort of would be my answer and who knows where I will be another year from now. I am excited and dedicated in a new way to how I eat and working out. I have lost pounds of fat and exchanged them with muscle. I haven't done a measurement lately and would love to compare from last year to now. My concern has shifted from the scale to how I feel and reducing the fat. The best part to me was in joining this group has not only been about people I work out with, but a support group for health/fitness and trainers who really care. I am now forty and feel that the change and progress is in a better direction than I ever imagined. Spring Break Vacation - Oooops! Women are quite good at multitasking, right? It seems like second nature to be able to do three things at once, doesn't it? Well let me warn you - don't try multitasking when you're making online vacation reservations. Unless you want to end up in Moline, Illinois because you rushed through the reservation process. Here's what happened. I was cooking dinner, writing checks, and thinking about what we could do for a semi-staycation that didn't cost an arm and a leg. Since we live in Oregon, a travel-savvy friend recommended that we take the kids to Seattle and book a downtown hotel using Priceline. Brilliant! So I'm determined to squeeze in a vacation-booking to-do while at the same time trying to get dinner on the table and write two more checks to pay some bills. Dinner - done! Checks - done! Priceline reservation....hmmmm, let's bid $60 on a downtown nice hotel. Bid was denied. BUT I had 15 minutes to bid $71 if I wanted. Fine. I submitted a $71 rate for a nice four-star hotel in downtown Seattle. Sounded pretty good. My bid was accepted! Yay! This is easy! So after dinner I checked my email to see if they emailed my confirmation number. It's all there: one room at the rate of $71 for a downtown hotel in Portland. Cool! Wait a minute....PORTLAND? As in, Portland that we just visited for Lego Robotics last month? Arrrrrrgh! I had inadvertently put in Portland instead of Seattle. 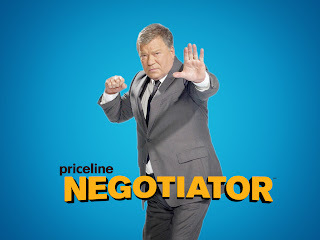 And there's no going back when you use Priceline. You have to enter your credit card# before you bid, so you can't make any changes. Merde. I'm blaming it on the fact that I didn't have my morning V8/NYT crossword puzzle, so my brain wasn't quite tuned up. So, wish us Bon Voyage as we spend four days in exotic Portland! 1. If you lost your job, take this opportunity to exercise more. Preferably outdoors, where you get free doses of vitamin D for your efforts. Stay away from the woe-is-me pint of Ben and Jerry's every night. Come up with a job-search routine and stick to it. It's also a good opportunity to think about working in new sectors. What skills do you have that could be useful in other industries? 2. Stay away from financial news if you can help it. Instead, read books, spend time with friends and family, listen to music and cook healthy meals. 3. Rent a funny movie and invite friends over to watch it. 4. Focus your energy on helping others - volunteer at a local food bank or other community organization. 5. At the end of the day, write down one good thing that happened during your day. 6. Try to get at least seven hours of sleep every night. 7. Play relaxing music during the day. I recommend Mario Olivares, Ziggy Marley, Michael Gulezian, and Andreas Vollenweider. 8. Chew on life's big questions at Soul Pancake. 9. Make a list of ten things that you're thankful for. Keep that list on your refrigerator. 10. 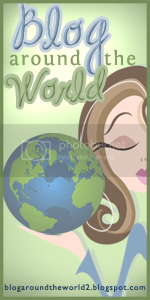 Start your own blog! What do you do to keep your spirits up? Share it with us! I will admit that I do have a certain aversion to following a fad. For instance, I just started watching Survivor two seasons ago. And I never learned how to knit when it went around in the 90s. I didn't read the Twilight series until this fall. It's not that I'm against whatever the 'thing' is, it's that I don't want to jump on the bandwagon. So I take my time, and years later when it is safely out of fashion, I decide to give it a try. So begins my quest to learn how to knit. It was prompted because my 8 year old daughter learned how to knit this year, and I can't help her when she gets stuck. My 7 year old son can also knit himself into a holey, lop-sided frenzy. Newsletters come home from elementary school about the virtues of this previously feminine-only art, and we don't even go to a Waldorf School. As I do with many other questionable ventures, I invited my girlfriends to join me in the fun. It turns out that there are quite a few closet want-to-learn-how-to knitters in my little group. Lots of other moms figured they'd give it a go. We have naturally discussed our complete lack of free time, along with wondering when we would ever sit still for long enough to knit a whole row, but alas we are up to the challenge. The challenge being finding a time when all of us can attend class at the same time. But I have faith that we will spend the time together, knit a few scarves and drink a few glasses of wine in the process. Isn't that really the point? So you're all ready for the holidays, except for maybe three gifts for those hard-to-buy-for people. Perhaps you need something for your husband who basically has everything, or you need a gift for your Aunt Edna, who just announced that she's coming for the holidays. Or maybe you need something for your new brother-in-law, whom you know nothing about except for the fact that he's an accountant in Indiana. 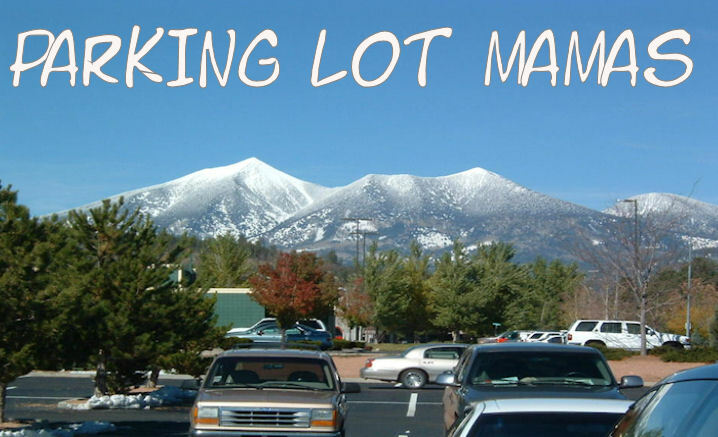 Have no fear, the Parking Lot Mamas' Gift Guide is here! 1. Body slimmers. Husbands, do not give your wife Spanx, Bodyslimmers, or control-top underwear. This should be obvious. The same rule applies to anti-aging creams, gift certificates for Botox, Alli weight loss pills, and diet cookbooks. 2. Lingerie. If you must buy lingerie, please make sure you have the right size. My poor husband bought some lingerie for me 12 years ago - four sizes too big. That was the end of lingerie gifts. 3. Do not re-gift stuff that is obviously used. A friend of mine recently received a set of Conair hair rollers, with hair still on the rollers!! 4. If you need to get a teenager something, and you don't have one yourself, please ask someone with teens for advice. A Spiderman sleeping bag, marker pens, or Pokemon movies are just not cool for a teen. So here we go - the ultimate gift guide for those hard-to-please people on your list. For the teenager - Sarcastic t-shirts are always a hit. 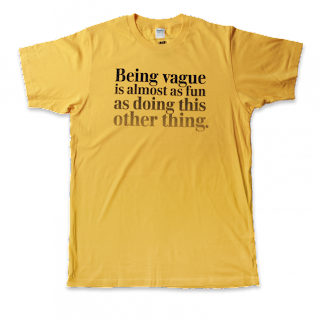 Threadless has some fun ones, including "Being Vague is Almost as Fun as Doing This Other Thing..." and "I Listen to Bands That Don't Even Exist Yet." 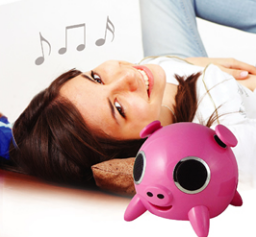 For the daughter who's permanently connected to her iPod - the pink Speakal iPod speaker system packs five total drivers (including a 4-inch subwoofer), adjustable bass controls, and 360-degree sound distribution into a cute pink pig. I guarantee her friends don't have one yet. 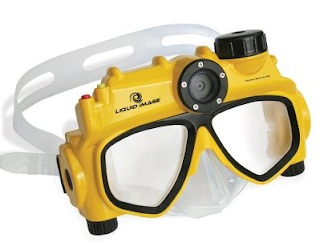 For the son who hates being dragged along on vacations - If your son is in the "it's not cool to be seen with my parents" stage, and you're on the beach for a day of "family bonding" while snorkeling, then slip him this ultra-cool underwater digital camera mask. He'll quickly forget why he's so cranky because he'll be taking photos and videos of all the underwater wildlife. 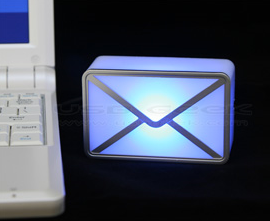 For the husband who has everything - If your hubbie is a serious email junkie, then plop down a whopping $17 for this ingenious USB Webmail Notifier, a cool looking "envelope" that softly glows when new email arrives in his inbox. Since it's USB-powered, he won't have to worry about stuffing batteries in it every week. For the wife who runs the household - The Audiovox Homebase Digital Media Center is every SAHM's dream. 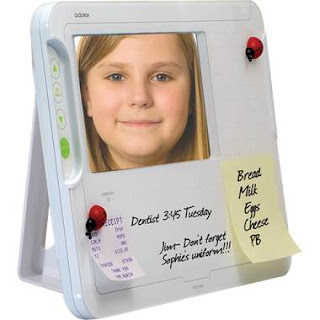 It sticks on your fridge and includes a 7-inch display, a dry erase board, digital clock, Post-it pad and an LED message indicator. I'd put this on the door to our garage so we can check it before rushing to school. For the dog who doesn't want another Xmas sweater - Fido will wow all his canine friends with a Plexidor Electronic doggie door. Replace your regular flap doggie door that screams "ROB THIS HOUSE" with this sweet electronic dog door. 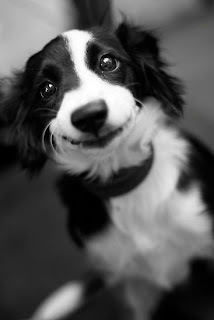 Your dog wears an RFID chip on his collar, and when he approaches the door, it automatically swooshes open. Very Jetsonesque. For the grandma - Obviously anything handmade from the grandkids is a sure winner. 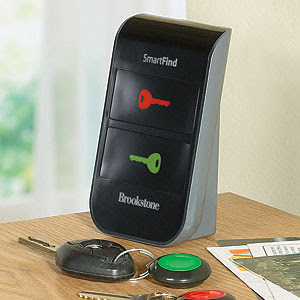 But if she has a hard time remembering where she put her keys, Brookstone's wireless key finder will locate her lost keys with just the press of a button. Simply press one of the color-coded pager buttons on the wireless transmitter, and the matching key fob will answer with a loud alarm. 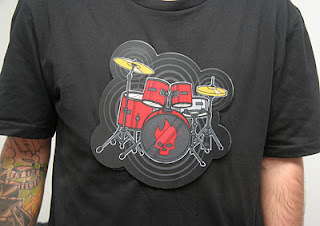 For the geek in your life - The electronic t-shirt with playable drum kit. Hit the drums on this shirt with your finger and they play through the built in speaker. It comes with 7 different drum sounds for the ultimate in chest-based drum solos. 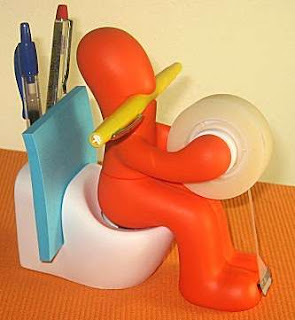 For Fred From Sheboygan- If these gift ideas are just too mainstream for you, and you need to get something creative for your "comedian" cousin whose bacon flavored dental floss is his favorite possession , then head on over to Stupid.com and check out their, um, desktop organizer.